Some professionals’ names are synonymous with their respective fields. If the common, non-hip-hop fan was asked to cite a rapper, for instance, he or she would most likely namedrop Jay-Z; ask somebody who never watches ESPN to reference a basketball player, and you’ll probably hear LeBron James’ name. Do the same for “film critic” and, chances are, the response will be Roger Ebert. Having immortalized the “two thumbs up” rating system with the late Gene Siskel, made history when he became the first movie critic to win the Pulitzer Prize in 1975, and amassed the chutzpah to have his reviews syndicated throughout not only the United States, but all around the world, Ebert, who turns 70 today, is the long-reigning champion of cinematic analysis. He’s not the granddaddy, however; in fact, the grandmommy, if you will, was the late Pauline Kael, the New York-based writer who Ebert described as having "had a more positive influence on the climate for film in America than any other single person over the last three decades." But Ebert has undoubtedly earned more widespread popularity throughout his illustrious career. And he’s continued to do so despite a near-fatal battle against thyroid cancer, the complications from which have left him unable to speak and dependent on a feeding tube. Yet Ebert’s writing hasn’t slowed down a bit. The filmmakers behind his least favorite films probably aren’t happy about that. As excellently written as Ebert’s positive reviews are, it’s the Chicago-based critic’s negative reactions that have always been his most entertaining to read. 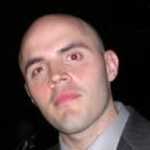 Never one to pull punches, the Chicago Sun-Times M.V.P. is a master of the critical beatdown, whether he’s dropping hilarious insults, viciously bashing a movie without the faintest bit of humor, or offering random yet tangentially related musings that signify his disinterest. 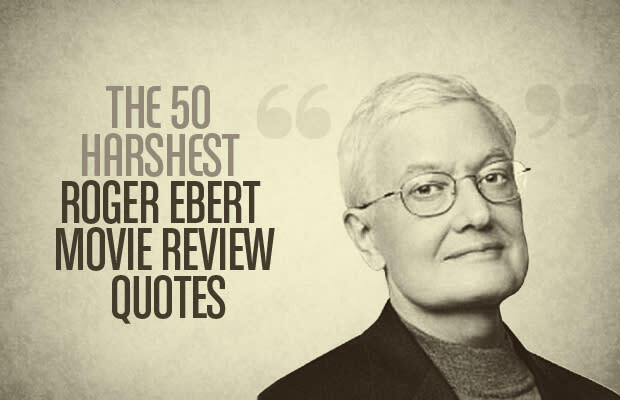 We’re longtime readers of the man’s work, so, on his 70th birthday, it’s only right that we run down The 50 Harshest Roger Ebert Movie Review Quotes and celebrate his 45-year career the best way Complex knows how to: by reveling in the icon's most savage prose.